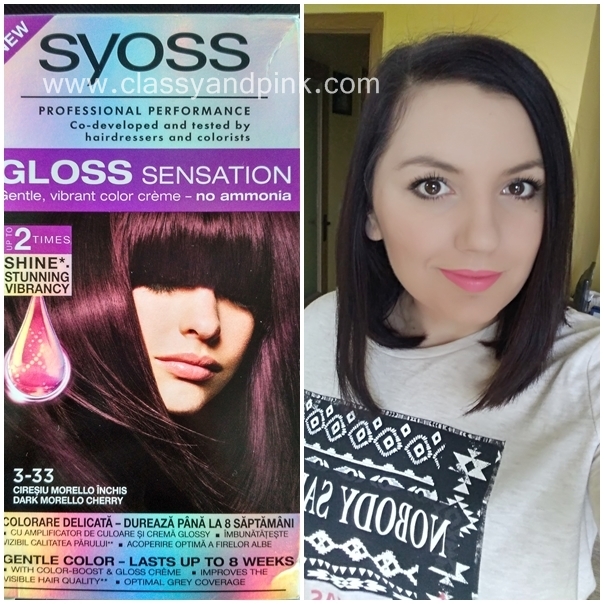 I loved my hair color but when Syoss presented the new Gloss Sensation - a gentle colour without ammonia for a sensational glossy haircolor & visible improvement of the hair quality I was curious and it seemed a must have for me. I felt the need for a change ( cut my hair too). You know how it is girls , don't you? I choosed the shade "Dark Morello Cherry" hoping my color would be exactly the same as the girl from the box. Obviously , it's a bit different but similar , especially in natural light. I applied it like any other color creme , left it for 30 minutes and then washed my hair. I really loved the result . 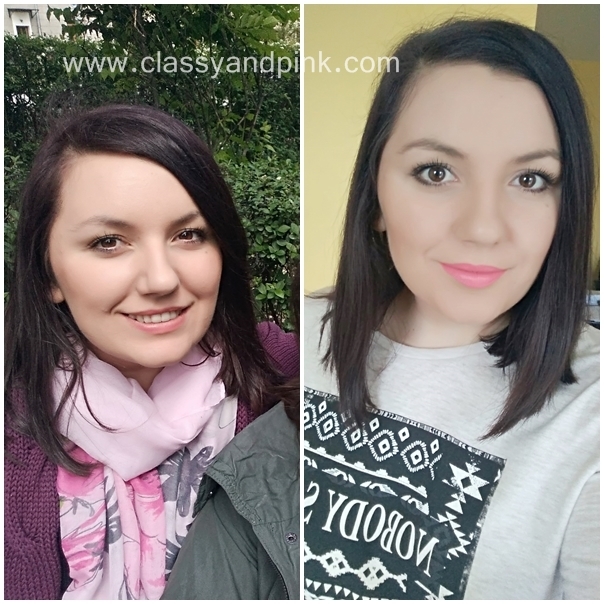 No amonia color creme is exactly what I need because I get bored of one hair colour very easily. 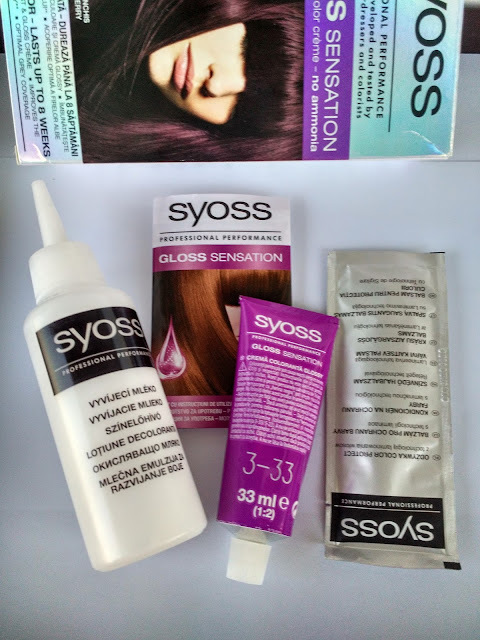 Gloss Sensation from Syoss offered me like 5-6 weeks of "Dark Morello Cherry" for my hair . So definetly not 8 weeks. If you wanna try it now it's on sale for 18.99 RON (normal price : 24.99 ron). I'm thinking of something red-ish .. So good to be back , girls!!! 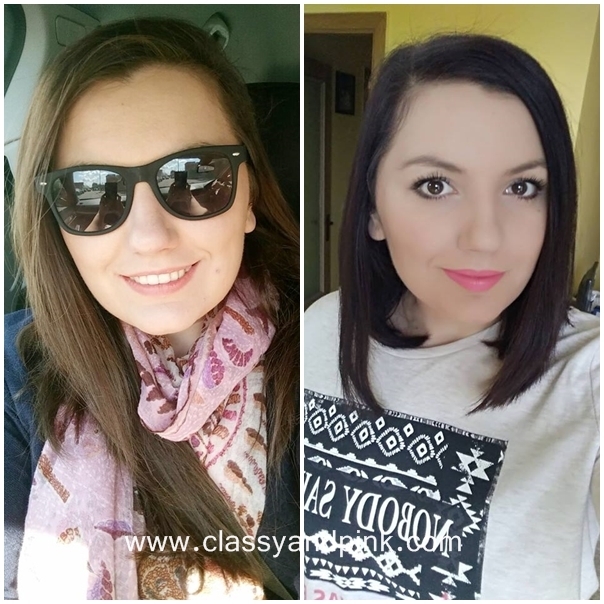 Especially this month when my blog celebrates 5 years. Pinky promise that I will try to write weekly.